Stock # 11409, 26 mi. Now here is a rare conversion find. 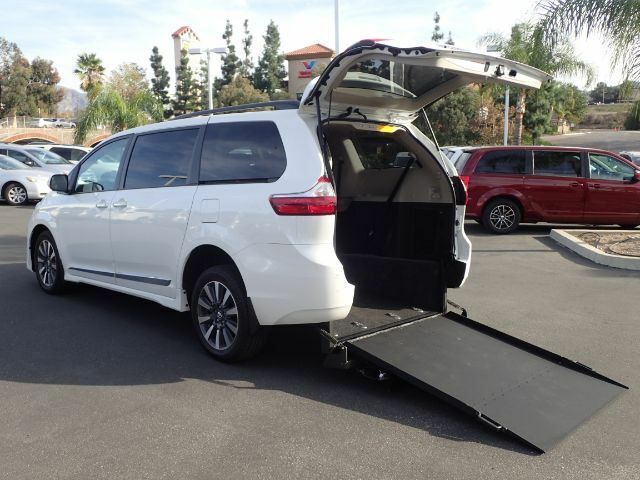 This 2018 Toyota Sienna Limited is the widest rear-entry ramp available at 48" making it perfect for large, wide, or taller chair types. Additionally, the second row, with a few pulls of a lever, can fold up or down to reveal seating for three passengers, making it great for commercial use. Plus the rear area is great for storing suitcases and other large items. Impress riders with a drop down widescreen DVD player, a dual moonroof, and one-of-a-kind mocha leather seats.